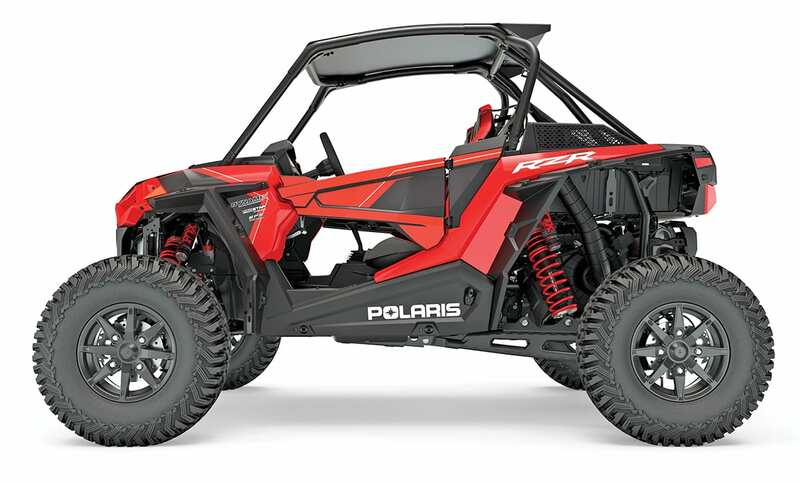 Polaris joins Can-Am in the long-travel, 72-inch class with a late entry for 2018. 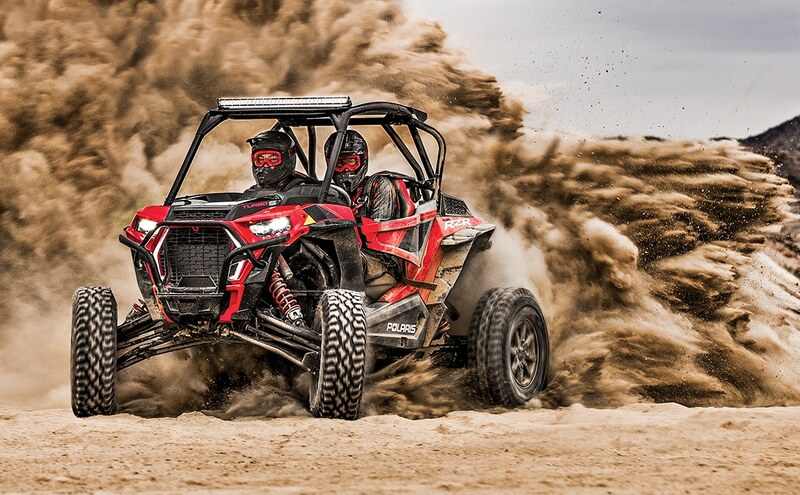 The most capable RZR ever, the RZR XP Turbo S is said to be an off-road monster. It has been completely redesigned and re-engineered from the ground up to be bigger, tougher and more aggressive than ever before. The chassis has been reinforced for durability, as has the new eight-point ROPS cage featuring additional gusseting for increased safety and roll-over protection. Here are the top 10 improvements on the new $27,499 RZR XP Turbo S, and we will be back next month with an in-depth ride review. 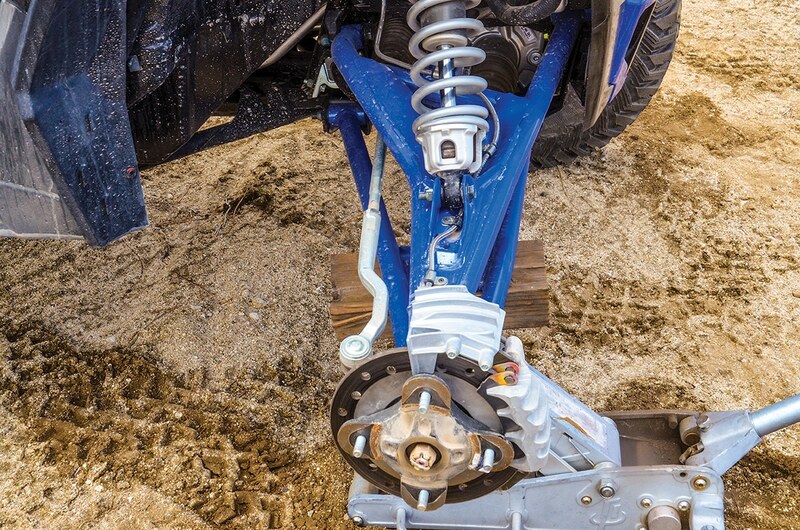 The rear of the new RZR Turbo S gets its 72-inch track width and increased suspension travel from wider trailing arms and longer radius rods. 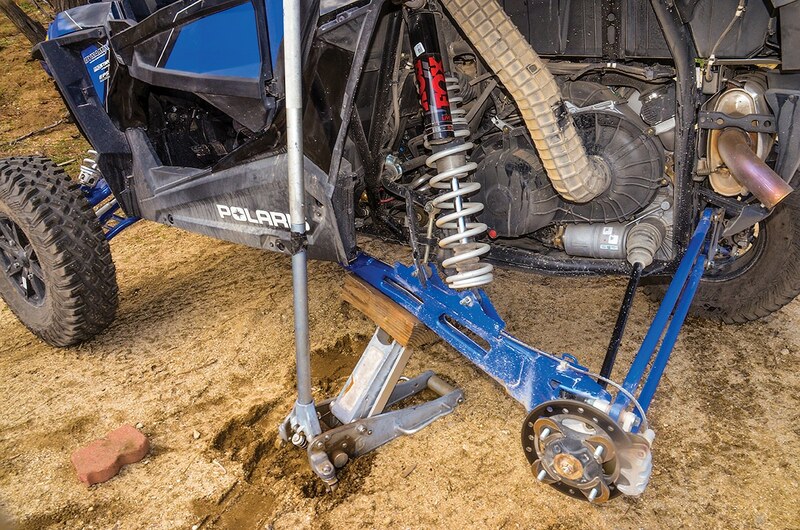 Not only are the new trailing arms wider for increased stability and travel, they are also 65-percent stronger with improved shock/sway-bar-mount gusseting. The longer radius rods are 24 percent stronger with .120-inch DOMX material with a maximum ground clearance and arched design. Bigger, better, stronger sphericals, knuckles and bearing carriers were also implemented. The Turbo S platform is based on the Dynamic Edition Fox Live Valve suspension with two key improvements. The fronts are still 2.5-inch diameter, but the rears have been increased to 3.0-inch diameter for even more control and absorption. Both front and rear shocks now feature Fox’s top-of-the-line Internal ByPass (IBP) technology. 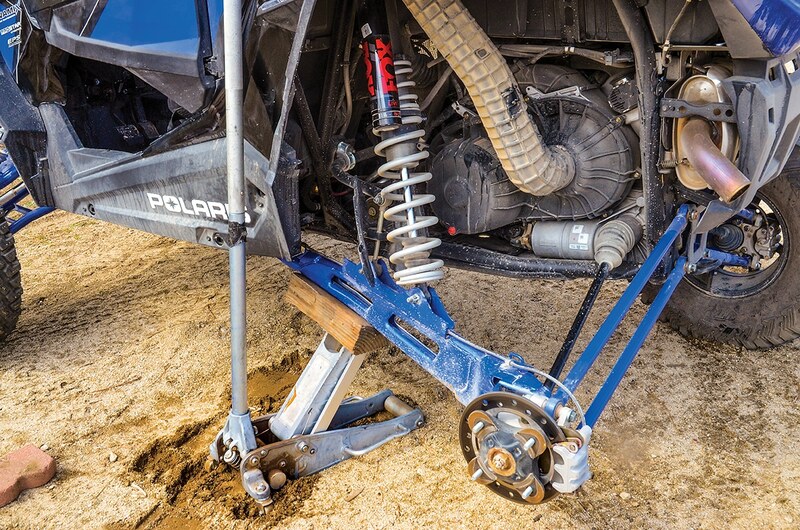 These shocks should more than handle the increased travel, vehicle weight and tire diameter. The Turbo S features 19-inch front- and 21-inch rear-wheel travel and a full 25 inches front and rear of usable travel before the skid plate will bottom. 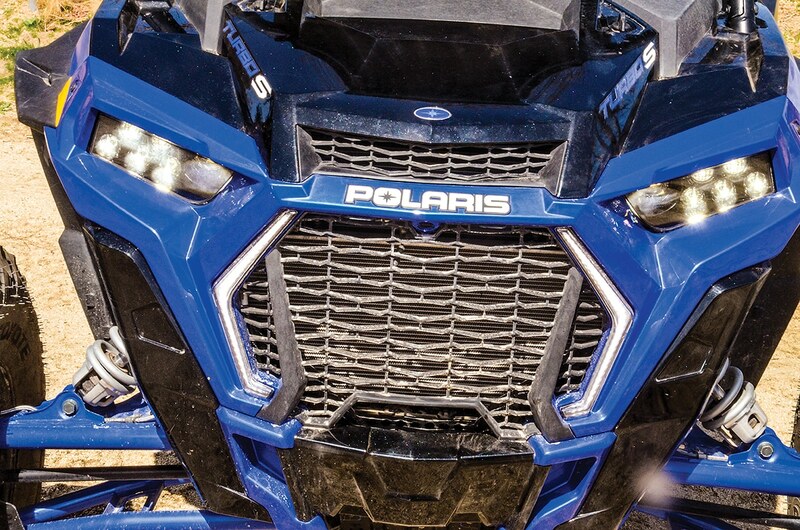 As the first-ever side-by-side to come stock with 32-inch tires, Polaris chose the brand-new, super-durable, eight-ply ITP Coyote. 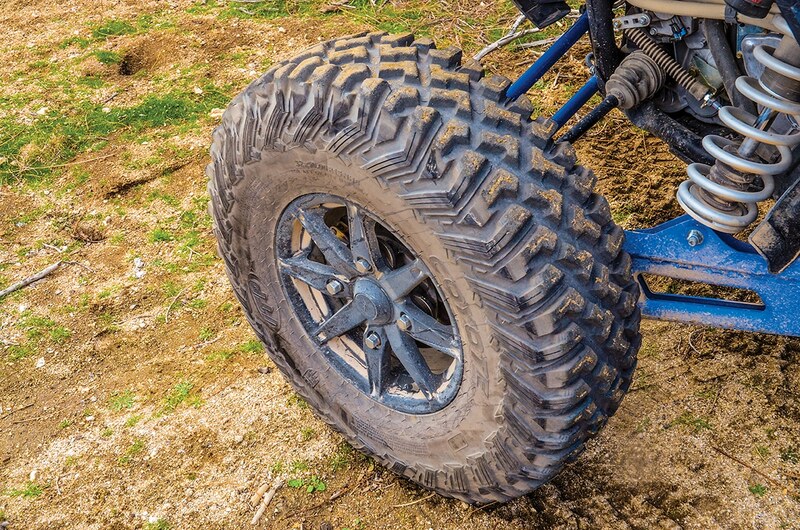 It is claimed to be 249 percent more puncture-resistant than the previous RZR tires and mounted on extremely negative offset 15-inch cast-aluminum wheels. The massive 32-inch tire helps achieve the industry-leading 16 inches of ground clearance while maintaining the same low CG of the XP Turbo. Clutching has been improved and calibrated for instant response and tuned specifically for the 32-inch tires. A new cover features increased ducting and more airflow directed towards the inner part of the secondary. It’s claimed to create lower belt temps and thus increased durability and belt life. We have not driven it yet, but those who have claim it comes on instantly and more electric like in comparison to previous years’ clutching. The new front diff has three times the higher impact strength and is isolated via rubber mounting to eliminate vibration and feedback to the steering wheel and pedals. The axles are larger and stronger, with more plunge for greater CV angle and durability. The prop shafts are larger diameter with better bearings and bearing carriers. 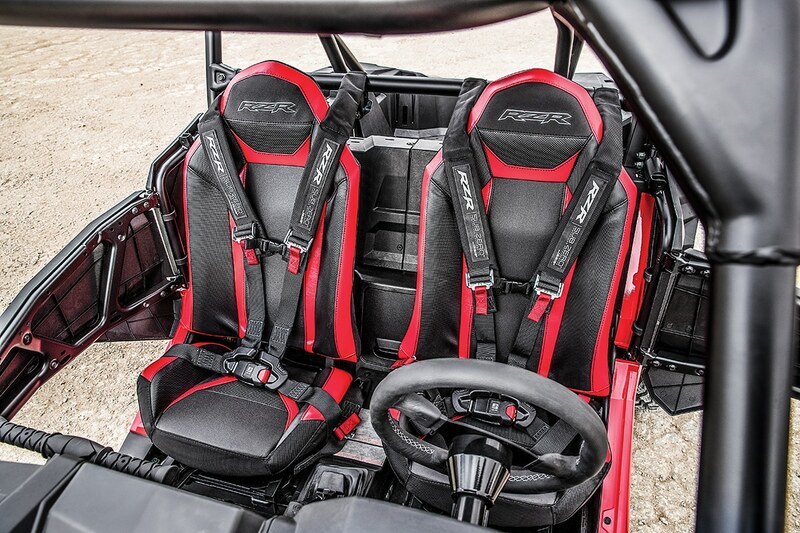 The RZR Turbo S features what they call a “predatory look,” with a squatty, low-profile cage design and all-new LED accent lights surrounding the radiator grill and rear bed area. 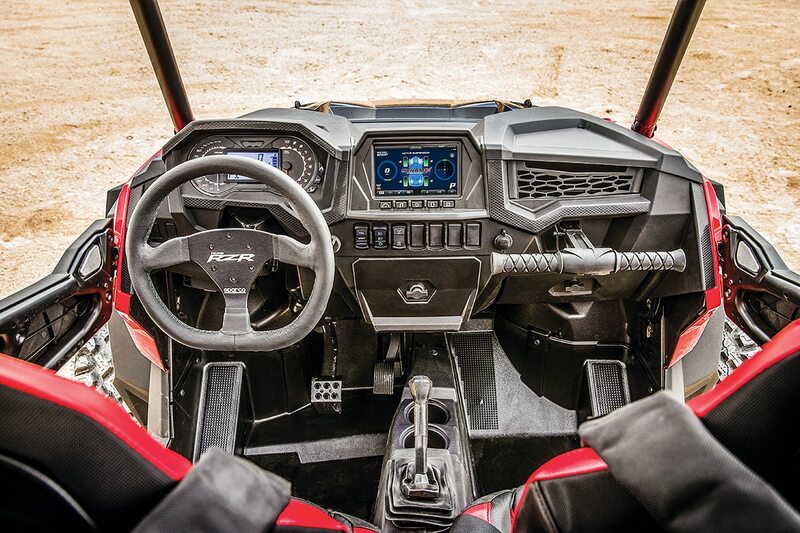 With Ride Command’s Bluetooth-to-screen capability, Polaris has gotten rid of its age-old smartphone display holder in favor of an additional dry-storage glovebox. Polaris gave the Turbo S a D-shaped Sparco steering wheel for increased control and a very trick look. 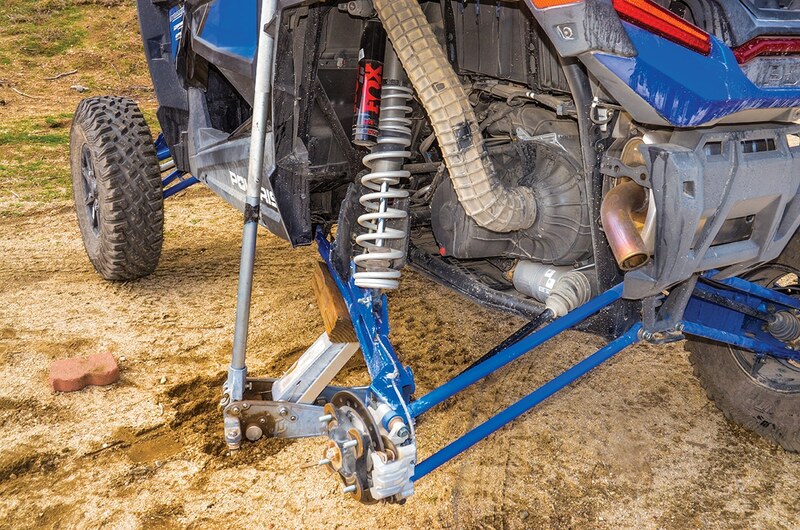 The steering rack is larger and much stronger, with power-steering assist boosted 25 percent to keep the same RZR XP’s light feel with the larger 32-inch tires. Polaris finally gave the Turbo S the accessory fuse box it has always needed under the dash. It also gets seven pop-out blanks for switches on the right and two additional cutouts on the left. The new dash is also a huge improvement, with a massive analog-style tachometer and speedometer. 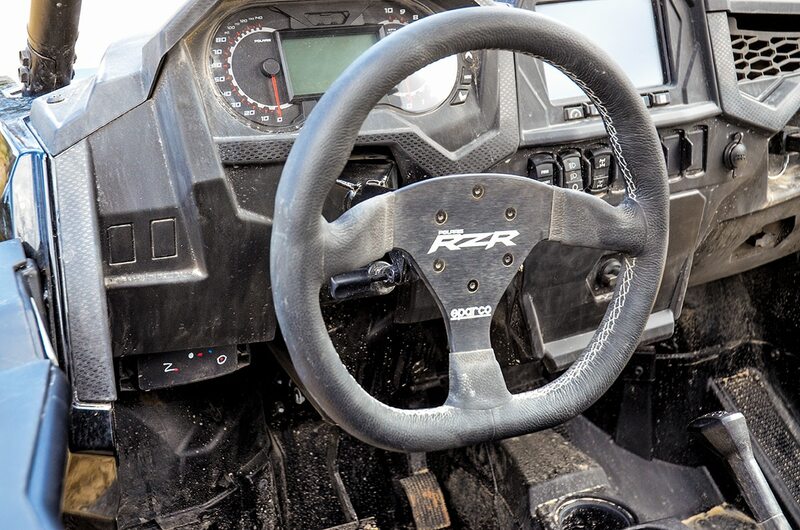 The RZR Turbo S has a top-speed governor at 85 mph. With speeds like this, you will appreciate the safety-cage improvements and the fact that it comes stock with racing harnesses. The SubZero harnesses are the same as you will find in the RS1. It’s retractable and features padded shoulders yet retains the ignition cut-out and seat-belt warning light if not attached. 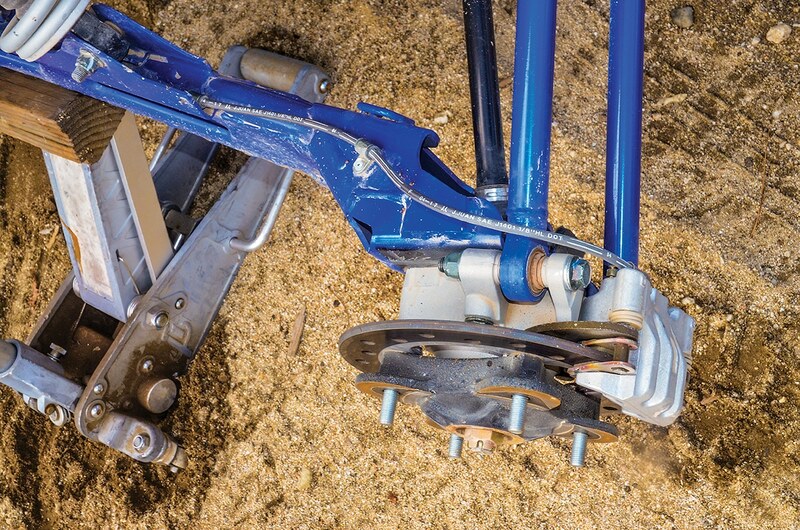 These stylish belts should be the norm in every high-performance UTV.